With glowing reviews continuing to pour in on social media platforms for the album and teaser of Petta, speculations about Superstar Rajinikanth's next project have already begun. Ever since Rajinikanth started shooting for Kabali in 2015, he has been busy like never before, in the last two decades of his career, with back-to-back projects such as 2.0 and Kaala. In between his film commitments, Rajinikanth also announced his decision to enter politics on 31 December 2017, after playing the waiting game for nearly 20 years. Now, Rajinikanth has taken a brief break and is currently waiting for the release of Petta, which is slated to hit cinemas on Pongal 2019 worldwide. Firstpost has learned from reliable sources that Lyca Productions, which bankrolled 2.0, will produce Rajinikanth's next project as well. AR Murugadoss, who directed Lyca's first production Kaththi starring Vijay, is the front-runner to helm the film. If the project materialises, it will mark the first-time collaboration between Rajinikanth and Murugadoss. Rajinikanth and AR Murugadoss. Images from Twitter. 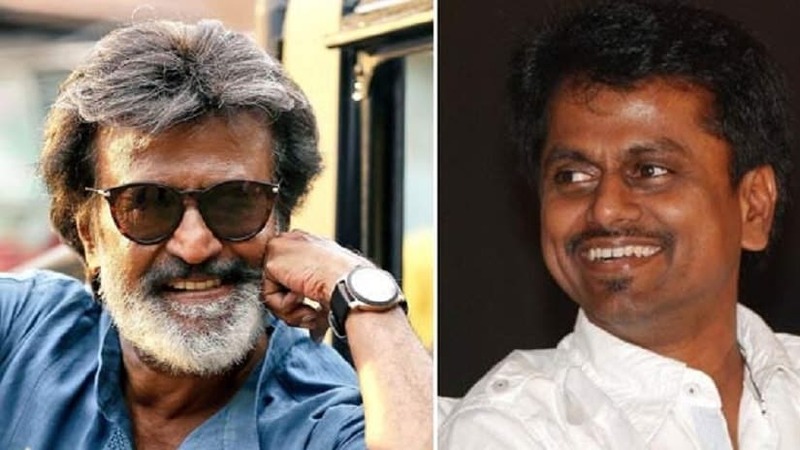 Murugadoss has confirmed in a recent interaction that he met Rajinikanth and narrated a script to him, which the superstar has expressed his liking for. "Every filmmaker is a huge fan of Rajini sir. Watching him in person is like watching the FDFS of his films. I have narrated a script, and he said it's good. Like everyone else, I'm also waiting for his announcement. It's a fantasy story in the fictional space and not a political drama. If I keep doing political films, I will also get bored," said Murugadoss. At a time when Murugadoss is battling legal issues for his controversial anti-establishment dialogues and shots in Vijay's Sarkar, it's natural that fans expected another intense political drama from the Thuppakki filmmaker. There were even unconfirmed rumors and fan-made posters saying that Murugadoss' film with Rajinikanth has been titled Naarkali (Chair). However, Murugadoss' confirmation that it's not a political film like his previous hits has put the rumors to rest. Rajinikanth, who returned to Chennai after attending the pre-wedding bash of Isha Ambani and Anand Piramal in Mumbai, declined to comment when reporters asked about his next project. "No, I can't talk about it now. Let Petta come first," he said. About the overwhelming response for the Petta teaser, which was launched on 12 December, he said, "I'm very happy. The teaser has been received very well." The makers have already initiated talks with composer Anirudh Ravichander, who worked with Lyca and Murugadoss in Kaththi, to score music for the film. If everything goes well, the project will mark his second consecutive association in a Rajinikanth starrer after Petta. Anirudh is currently part of Lyca's highly-anticipated political drama Indian 2 directed by Shankar and starring Kamal Haasan. Ace lensman Santosh Sivan, who worked in Murugadoss' Thuppakki and Spyder, has been approached to wield the camera for the project. Meanwhile, Murugadoss has also hinted about his sequel plans for Vijay's Thuppakki and Kaththi. "If you ask about the possibility of a sequel, definitely it's there. That's how I had finished both Kaththi and Thuppakki. But, I need to have a solid story as a sequel idea to start working on it. Since both the film were blockbusters, the idea should be exciting and outshine the previous ones," he said. One question that fans never miss to ask Murugadoss ever since he delivered a blockbuster with Thala Ajith in Dheena is about the duo's next collaboration. "Ajith sir's fans have been asking me about it for a long time. I have also conveyed this to him. I have perfectly sculpted a script for him and is ready with me. I'm just waiting for his call," he revealed.